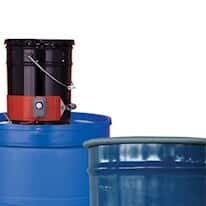 A drum heater provides a practical, efficient means of protecting your drums from freezing, controlling viscosity, or warming up and maintaining an elevated temperature of materials within a drum. There are many different styles and types of drum heaters. There’s a drum heater with a wrap-around style and the immersion heaters, to heat-from-below dollies, and even full coverage, insulated drum wraps.